Text Encryptor is a freeeware application which is used to encrypt any text message using password.Once the text is encrypted,you will require the password to decrypt it.Without the password,your text message will be lost for ever.This application works on simple algorithm for encrypting and decrypting the text message.The only drawback of this application is that the text message after decryption will be in uppercase only.Also it will double the length of the string when encrypting. Don't use this encryption application as the only source of security for important data. Open Text Encryptor By Nerd Programmer. Below "Text Secure",you will find "Password",enter the password with which you want to encrypt your text message. Below "Decrypt",you can see the text area,enter the text in that area which you want to encrypt. Then click on "Encrypt".Your text will be encrypted. Copy paste the generated code from the text area.Its your encrypted text.Save this encrypted text anywhere. Below "Text Secure",you will find "Password",enter the password which you used to encrypt your text message. Copy paste the encrypted text message in text area and then click on "Decrypt". Your text message will be decrypted. If you want the source code of this application,we will surely provide you but only if you become member of Nerd Programmer ,follow us on google plus as well as join our official group at www.facebook.com/groups/nerdprogrammer and then contact us using contact form providing your e-mail address in it and asking for source code. 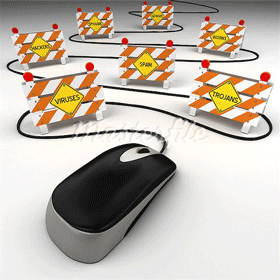 Click To Download Text Encryptor. Good morning,today i am going to share a html based application which have extension ".hta". Now a days,i have seen many guys and girls searching for an application or trick to hide text messages into images that too with password encrypted so that no one can read it except the one to whom the message has been written. So after waking up whole night,i have made an application which will perform this task and have named it as "Nerd Programmer Text Encryptor". So from now using a simple HTML application to hide the text into the image file according to the password you provide,you can send secret messages to your friends. Both you and your friend should have the program and must know the password. 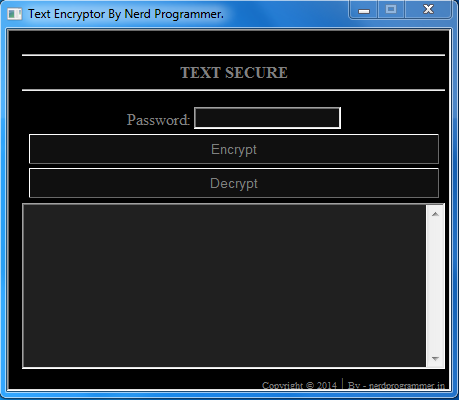 Open Nerd Programmer Text Encryptor. You will see text box for "Password".The password must be an integer between 1000 and 9999. Type the Password which you want to use while encrypting the message. Below password you will see text box which is text area for typing the message which you want to encrypt.Type the message in text area. Next text box you will find is of "Image path".Click on browse and select the image in which you want to hide your password encrypted message.Select it and click on ok.
Click on "Hide" button to hide your encrypted message in image.A popup will open saying that "The text has been embedded into NPsecret.jpg". 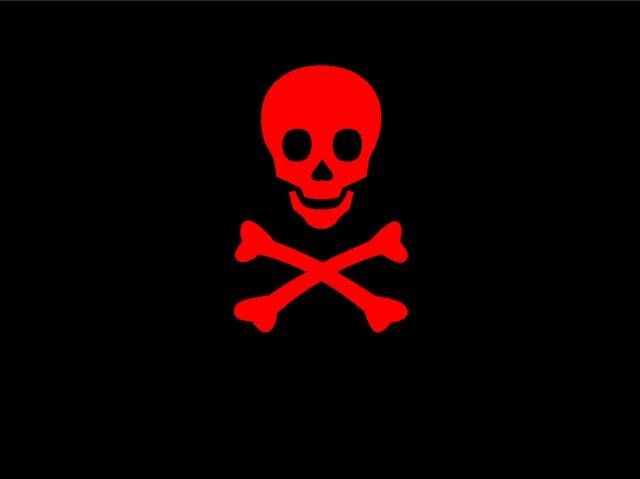 After pressing the "Hide" button,a new image with name "NPsecret.jpg" will be generated in the same directory where your "Nerd Programmer Text Encryptor" application is present.This image is very important as it contains the password encrypted text message.Send this image to your friend. Store the password encrypted text message image(NPsecret.jpg) anywhere on your system. Below "Hide" button,you will see text box for "Password",enter the password which was used while encrypting the text message. Below "Password" you will find text box for "Image path",click on browse and locate the password encrypted text message image(NPsecret).Select it and click on ok.
Then click on "Retrieve" button below "Image path".A popup will open saying that "The retrived text has been saved to NPtext.txt ". If your password is wrong,you will get and alert saying that "Incorrect password!" 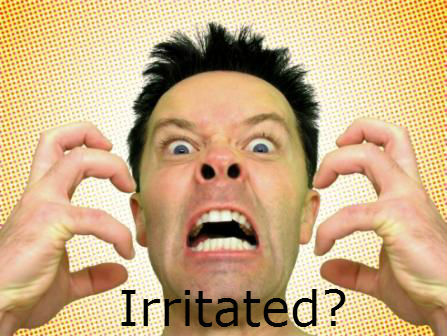 and your text message will not be decrypted.So re-enter the correct password.. If you enter the correct password,then you will find that a new txt file has been generated in the same directory where your "Nerd Programmer Text Encryptor" application is present. Open the "NPtext.txt" file and you will find the text message which was encrypted by your friend. WARNING:The data in the image file will be lost if you edit it with any picture editing program. 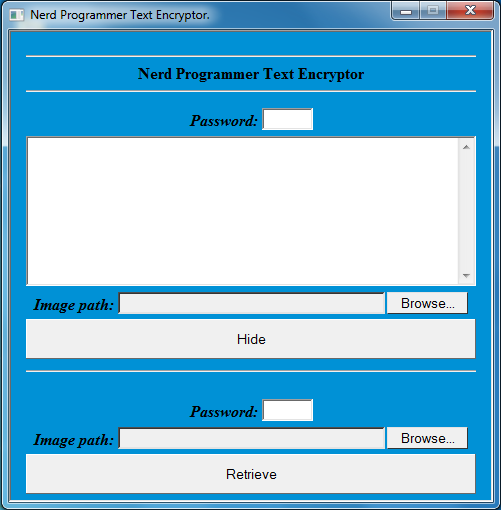 Click To Download Nerd Programmer Text in Image Encryptor. 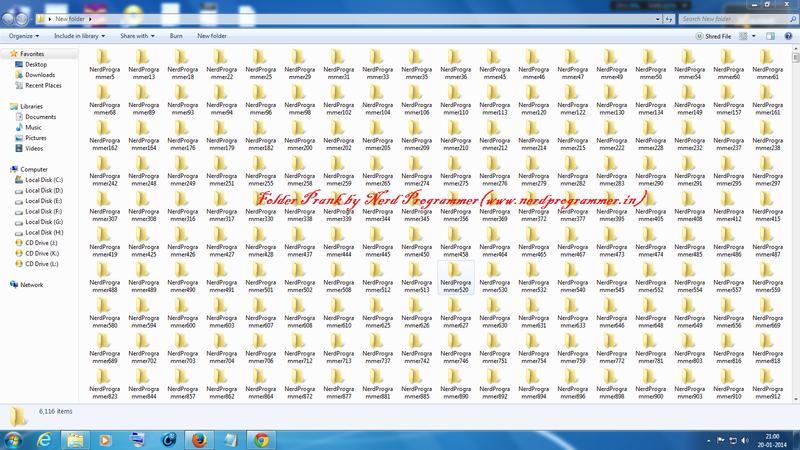 In this post,i will show you how to make unlimited number of folders within few seconds. The main aim of this trick is to make your victim tensed as when ever this source code will be executed,unlimited number of folders will be created within few seconds. Copy paste the below code in note pad and save it with ".bat" extension. Note:Save the above code with ".bat" extension,eg "folderprank.bat"
Tips:When you will run the bat file,you will observe that the directory in which this file is placed,new folders are created over there.So i will suggest you to keep the bat file in a proper folder so that you don't mess around.Also you can create a shortcut of the bat file and place it in "Startup" folder and hide the original bat file,so when ever the windows will restart,this bat file will executed automatically and your victim will be in great trouble if you place the original bat file in the same folder where your victim have saved important data. When you run the bat files,you will observe that folder which are created have name "NerdProgrammer" with some random number at the end,you can change the name by replacing "NerdProgrammer" with whatever you want. If you have placed the shortcut of above bat files,you might observe that when ever the computer starts,this bat file is executed,to make everything work as it was before execution of this trick,boot your system in safe node,browse to your startup folder,if you have hided this bat file then first go in control panel>folder option>view and tick the option" show hidden files and folder",then come back to startup folder and delete the bat file or its shortcut.By doing this,whenever your computer will start,it will work fine as it used to do before. Have you every thought to disable or delete mouse pointer from your windows OS while still the mouse is connected to your computer and the mouse light glows? The below trick help us to do this task.The code give below when run,it just delete the mouse files from the windows registrey. Any driver or software we install on our computer are registered in windows regedit. If the registry file of a particular software or driver is deleted,then that software or driver wont work. There are to ways to do this task.The first way is to manually delete the registry file of mouse and the second way is to make a program which will directly do this job for you. Save the above code as "anyname.bat"
Note: Save with ".bat" extension. The above code is not a virus,its a redesign shortcut for accessing and deleting the regedit files.Many antivirus will detect it as virus,but don't worry,it will just delete the mouse from the operating system on which it is executed. 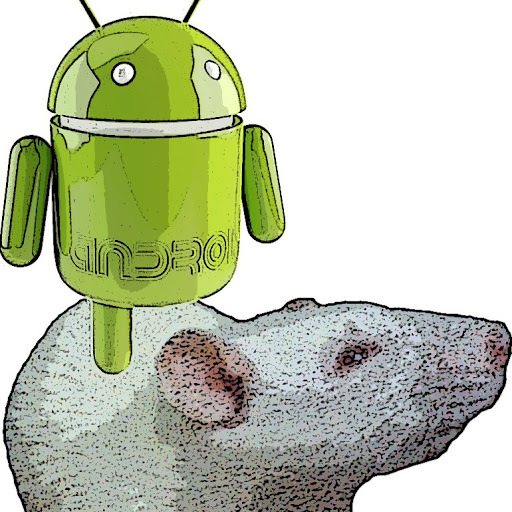 The name AndroRat is a mix of Android and RAT (Remote Access Tool). The goal of the application is to give the control of the android system remotely and retrieve information from it. Watch the video below to learn how to use AndroRat. NOTE:ABOVE INFORMATION AND APPLICATION IS FOR EDUCATION AND SECURITY PURPOSE ONLY.IF YOU MISUSE OR MISTREAT THE ABOVE INFORMATION,THEN IT CAN BRING UNLAWFUL CHARGES BY THE PERSON ON WHOM YOU USED THIS TRICK.THE AUTHOR WILL NOT BE RESPONSIBLE IN THE EVENT ANY UNLAWFUL CHARGES ARE BROUGHT TO YOU BY ANY INDIVIDUALS BY MISUSING THE ABOVE INFORMATION.WE WON'T TAKE RESPONSIBILITY FOR ANY OF YOUR ACTION RELATED TO ABOVE INFORMATION. It has been developed in a team of 4 for a university project. It has been realised in one month. The goal of the application is to give the control of the android system remotely and retrieve information from it. 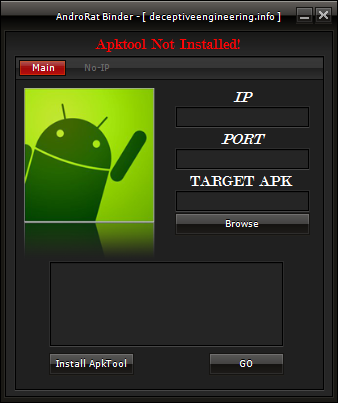 The android application is the client for the server which receive all the connections. The android application run as a service(not an activity) that is started during the boot. So the user does not need to interact with the service (Even though there is a debug activity that allow to configure the IP and the port to connect to). 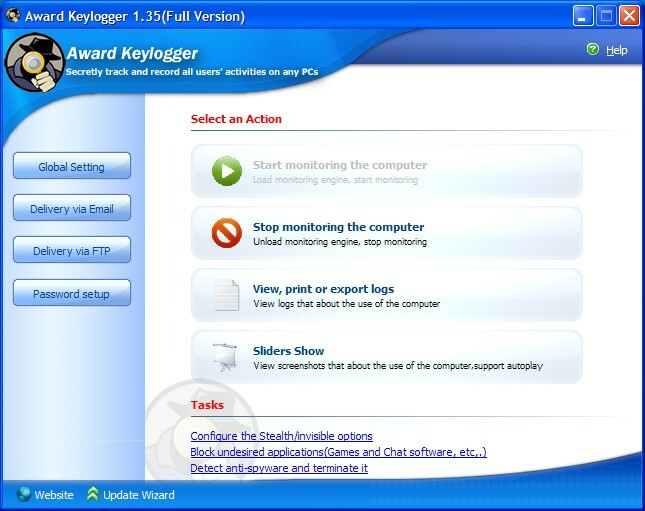 You can run keylogger as a Windows service. 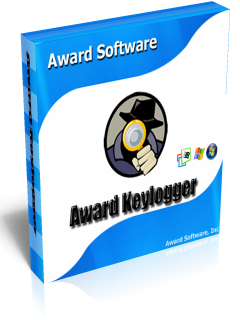 Logs accounts and passwords typed in the every application. Logs message typed in all instant messengers. Visual surveillance, support screenshots view. Captures the contents behind the asterisks. Uploads ALL logs into the separate folders by FTP. Invisible for the firewall program. Monitors all users of the PC. User friendly HTML file format for emailed logs. Invisible in Windows NT/2000/XP Task Manager and Windows 9.x/Me Task List. Records Windows 9.x/Me/2000/XP/VISTA logon passwords. Supports printing of the log. 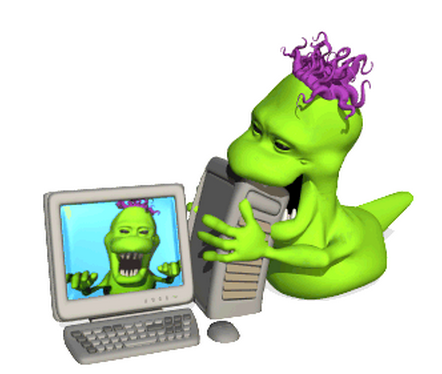 Image worm is a very popular trick to replace images on a remote computer.Image worm is a software which create a worm(Server.exe) using a image specified by the user/programmer. 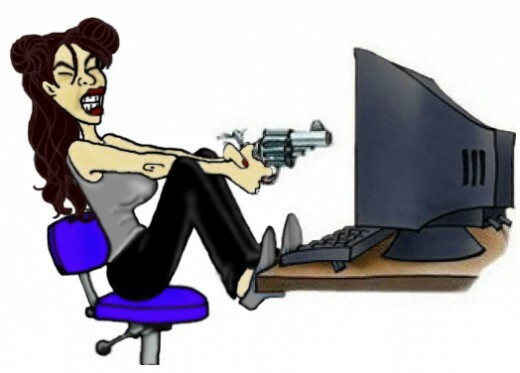 When the "Server.exe" is ready,run it in your victims computer and the result of this execution will be drastic for the victim as all the images in victims computer will be replaced by the image used by the programmer while creating this worm. Extract the files from "Image Worm.rar". Open the folder in which you have extracted the files. Click on "select files to worm". A new window will open,browse through it and select the image you want to worm. Then click on build worm. A exe file with name "Server.exe" will be generated which is your worm. 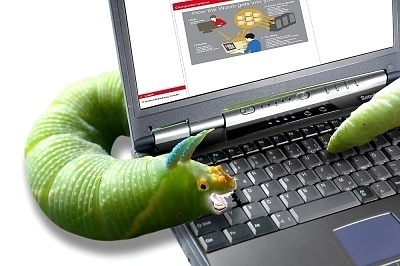 Your worm is ready,just execute it in your victims computer(you can use various networking techniques or autorun techniques so that your victims may not even know when the attack took place). NOTE:Don't run the worm on your own computer,there's no way to fix this if once the worm is executed.